Tubing at Kicking Horse just keeps getting better. The Tube Zone has undergone a full re-design and is a great addition to our new Learning Centre. 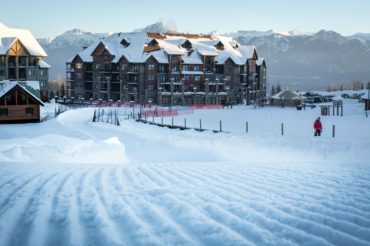 Located in the heart of the Kicking Horse Plaza, with access by the Jelly Bean surface lift, we make tubing easy. No skills are required, just a sense of adventure. It’s the perfect family activity after a day on the slopes. Tickets are available at Guest Services. Helmets are highly recommended for all. Children under 1.1 m in height are only permitted in the Tube Zone when riding with an adult. 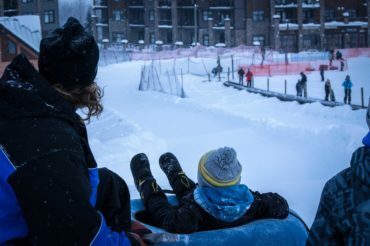 To book your own private Tube Park Event, please contact Group Sales at 1.866.SKI.KICK. 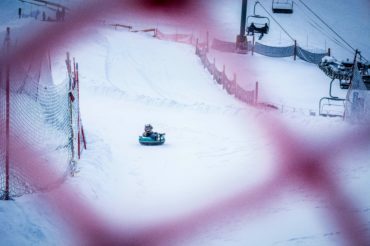 Tube park ticket is valid for unlimited tubing all day.